Rise and Shine! 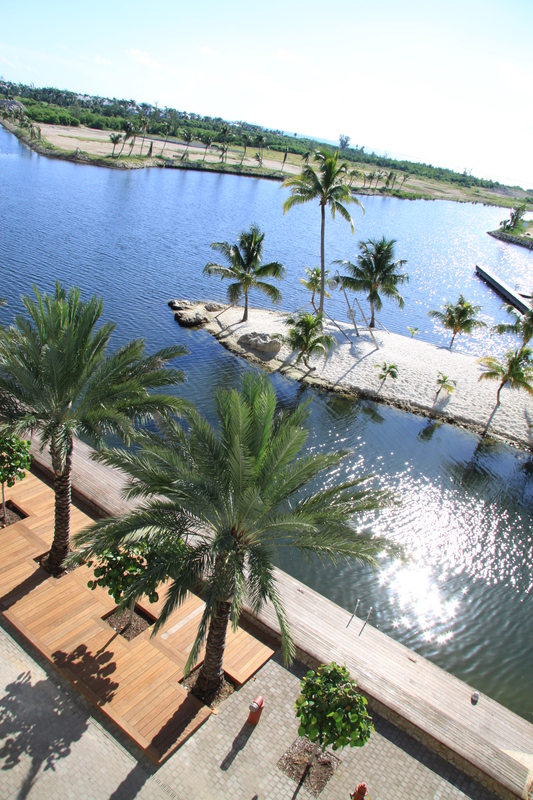 From a balcony at The Terraces condo, a view of the Crescent on the Harbour at Camana Bay. Walk downstairs, and you're a stride away from the Michael's Genuine Food & Drink Grand Cayman patio. Walk inside, and if you're lucky, Michael may even pull you an espresso from our new Illy machine. Hey, what's the harm in a little wishful thinking? It’s an hour earlier here on-island, where Michael and I will be for the weekend with friends Karry and Larry from Brustman Carrino Public Relations. Three journalists arrive tonight and will experience all the island has to offer… which of course now includes a meal at Michael’s Genuine Food & Drink at Camana Bay! It’s great to see Charles and the whole management, kitchen, and front of the house crew again. Each morning pastry chef Thais will bake up a new assortment of breakfast pastries, delivered fresh to the Ritz-Carlton Residences where the reporters are staying. Friday will be spent on crystal clear water at Stingray City, followed by happy hour and dinner at the restaurant. Saturday’s island tour includes stops at historic Pedro St. James Castle, the Market at the Grounds, and one of the local farms from which we source ingredients at the restaurant. Then Sunday it’s homeward bound, with a tan to prove it.